Ready to post some bills? 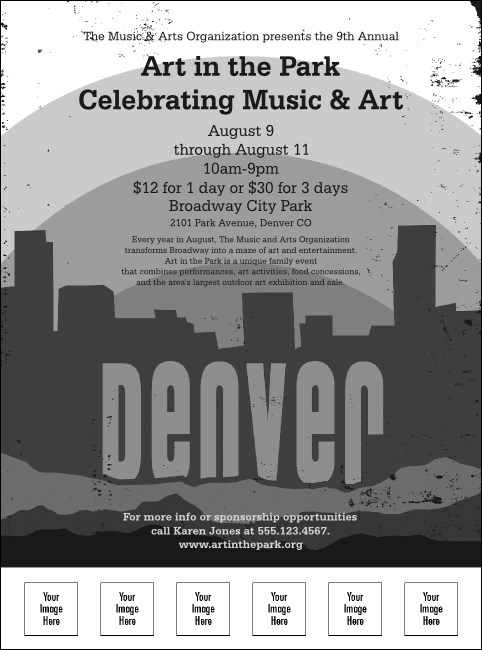 Get the word out all over town with the Denver Black and White Flier, a full-bleed gray scale promotional tool with a silhouette of the Mile High City rising up from the base of the Rocky Mountains. With space to upload five custom images, this flier lets you make Denver your own. Lofty images and down-to-earth service make TicketPrinting.com your one-stop print shop for any event.